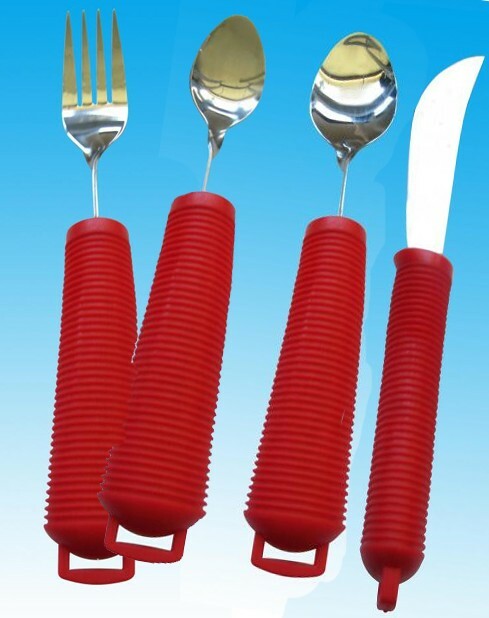 This red handled cutlery is suitable for children and young people that have restricted hand/wrist movement. Bright red coloured handles are made from contoured, flexible rubber which ensures they are easy to grip and easy to see for those with visual impairments. The teaspoon, spoon and fork all have bendable stainless steel shafts. Latex free and dishwasher safe, they can be bought individually or as a 4 piece assessment kit, Extra Value. Please select which item of cutlery you wish to purchase price is per untensil unless bought in the set.